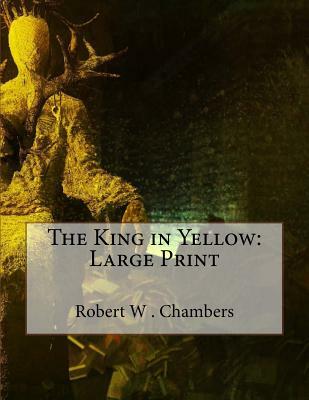 One of the leading examples of Victorian-gothic horror, The King in Yellow is a collection of ten inter-related stories that explore the despair and madness that affect characters that come into contact with the forbidden play, The King in Yellow. Since its publication in 1895, The King in Yellow has inspired other horror-genre writers including H. P. Lovecraft, and the text is referenced by many works of fiction, in music, and by the hit television series True Detective, starring Matthew McConaughey and Woody Harrelson. HarperPerennial Classics brings great works of literature to life in digital format, upholding the highest standards in ebook production and celebrating reading in all its forms. Look for more titles in the HarperPerennial Classics collection to build your digital library_We are delighted to publish this classic book as part of our extensive Classic Library collection. Many of the books in our collection have been out of print for decades, and therefore have not been accessible to the general public. The aim of our publishing program is to facilitate rapid access to this vast reservoir of literature, and our view is that this is a significant literary work, which deserves to be brought back into print after many decades. The contents of the vast majority of titles in the Classic Library have been scanned from the original works. To ensure a high quality product, each title has been meticulously hand curated by our staff. Our philosophy has been guided by a desire to provide the reader with a book that is as close as possible to ownership of the original work. We hope that you will enjoy this wonderful classic work, and that for you it becomes an enriching experience.